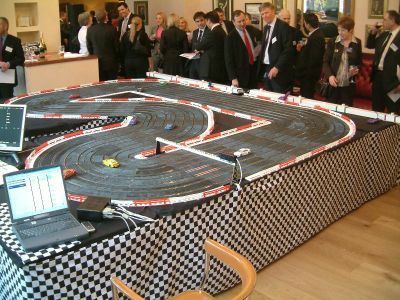 Pit Stop provide exciting Scalextric type racing for birthday parties, corporate events, car launches, exhibitions and all types of team building and development work. The events will be enjoyed by everybody, male/female and any age from 6 to 106! 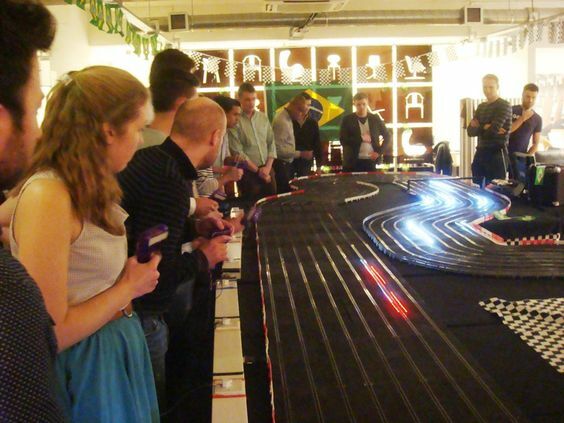 This is NOT just for the boys, Pit Stop run many all-female parties too! 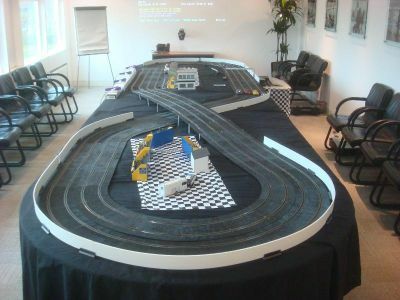 Pit Stop custom build all our circuits to meet the clients location or specification. They build 2, 4, 6 or 8-lane circuits up to 200ft. 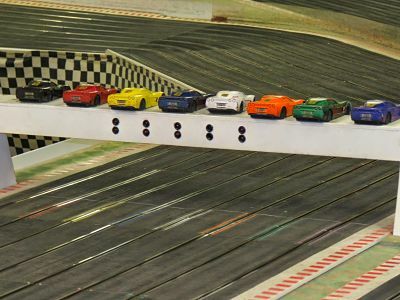 They also have the capability to build mirror image 6 or 8-lane circuits with the main sections back to back giving 12 or 16 lanes, allowing more people to race simultaneously. Just a quick note to say thank you for a very enjoyable evening last Friday. I have received a lot of complimentary feedback from some of the participants and no complaints apart from the fact that the Rectors team won. Some people already want a re-match. Thanks very much for the photo CD taken during Adams party last Sunday. Thank you also for making it such a special occasion, I think all the boys (and all the parents!) really enjoyed it. Just wanted to thank you, rather belatedly, for Williams party last Saturday. We all thoroughly enjoyed it (even Olivia) and William was overjoyed to win! As ever, it ran incredibly smoothly and has to rate as one of the most stress-free parties ever. Ive just been looking at the photos and its clear that everyone had a great time. No doubt well see you at one of the Summer courses. Have been meaning to email you before now to say thank you for a brilliant party. Fraser and his friends had a really great time, and so did I! I was so impressed with how well organised the party was with the computerised system and screens to tell us who was doing what and showing the ongoing results. 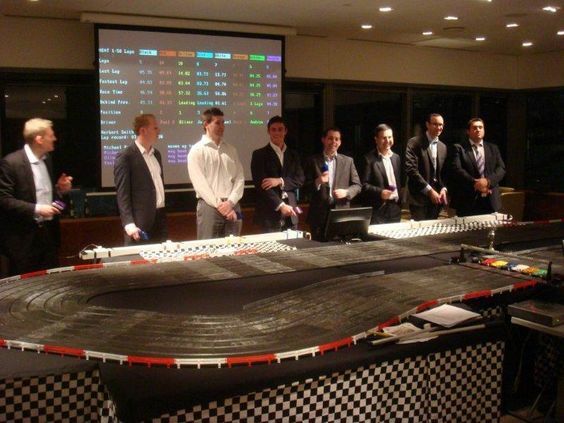 I also liked the fact that all the children were involved even if they werent racing. The boys were thrilled with their trophies and Fraser was delighted a few days later when the CD of photos arrived.I have been telling friends what a brilliant party it was and shall continue to recommend you!